Everyone wants a perennial that is easy to grow, undemanding in its cultivation requirements and , of course, blooms all year. Usually, this request is following by a smile, a chuckle and a confident response that a perennial often requires some sort of special treatment and, the full season of bloom, an unrealistic expectation. Well, the smile and the chuckle are still in order but the response in this case is quite different. Calylophus serrulatus ‘Prairie Lode’ is the answer. Prairie Lode Sundrops begins to flower in early May and continues to flower throughout the season well into fall. 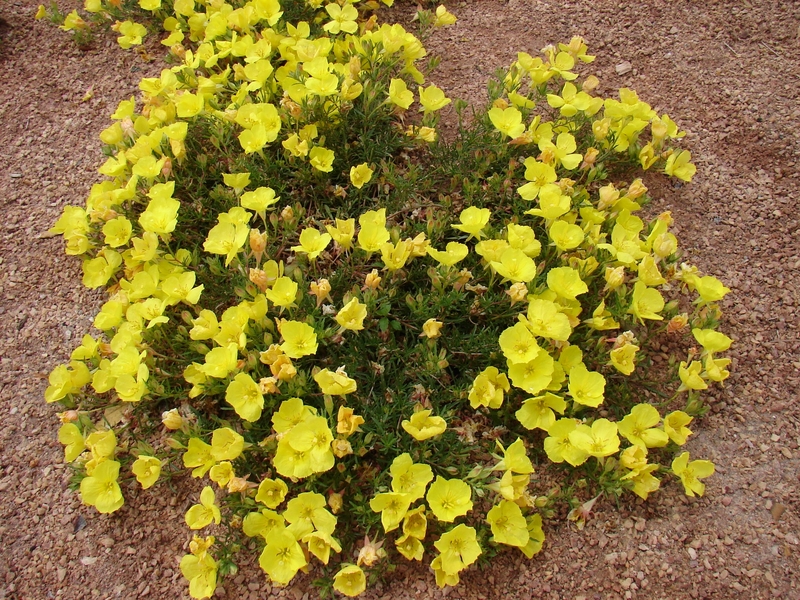 When visiting or driving by gardens where this plant has been used, Prairie Lode Sundrops provides a continual and spectacular display with a minimum or care and irrigation. It develops into a small shrublet with bright yellow, four-petaled flowers that emerge from large, orange buds. 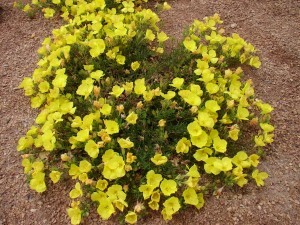 Thriving in a wide range of conditions, Prairie Lode Sundrops is particularly useful in situations that are hot and dry. The small shrublets are best cut back to the ground in spring so that the plants will be more compact and floriferous. You should know the story behind the discovery of Prairie Lode Sundrops. This selection is a unique plant with a more compact growth habit than the commons species that grows throughout the Great Plains. So attractive was this plant that it caught the eye of one of our best plantsmen, the late Harlan Hamernik, owner of Bluebird Nursery in Clarkson, Nebraska. While driving from Nebraska to Colorado and scanning the landscape for unusual plants, Harlan saw this plant from his car window growing in the prairie not far from the road. He collected some cuttings knowing that this would be a plant worthy of bringing into cultivation. It’s only natural that this plant was destined for Plant Select® – Harlan was driving from his nursery in Nebraska to attend a meeting of Plant Select®. And Plant Select® is proud to recommend this unique native plant from the Great Plains. Thanks to Bill Adams, Sunscapes Rare Plant Nursery for this piece.